When it comes to finding spectacular views in America, Hawaii takes the cake. 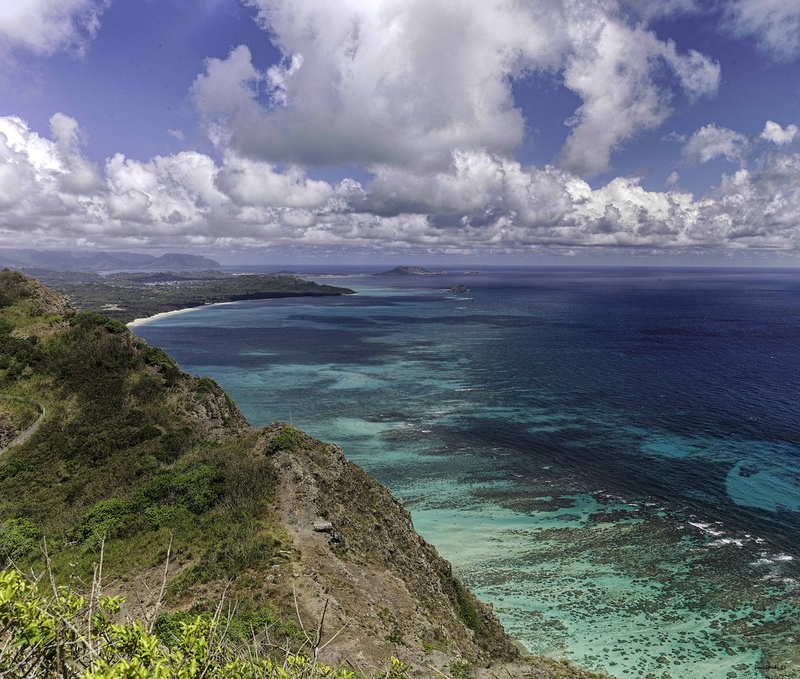 Images of lush rainforests, crystal clear waters, and sandy shorelines easily come to mind. But these islands are more than just a tropical destination. 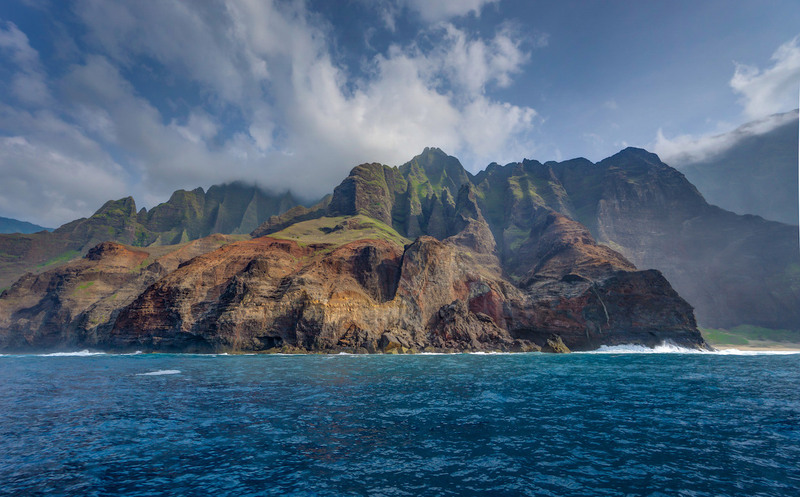 You will find—the colored, jagged cliffs carved by volcanic activity of the Na Pali Coast; molten lava from the Halemaumau Crater crashing into the cool waters of the Pacific, and the deep, chromatic gorge at Waimea Canyon. 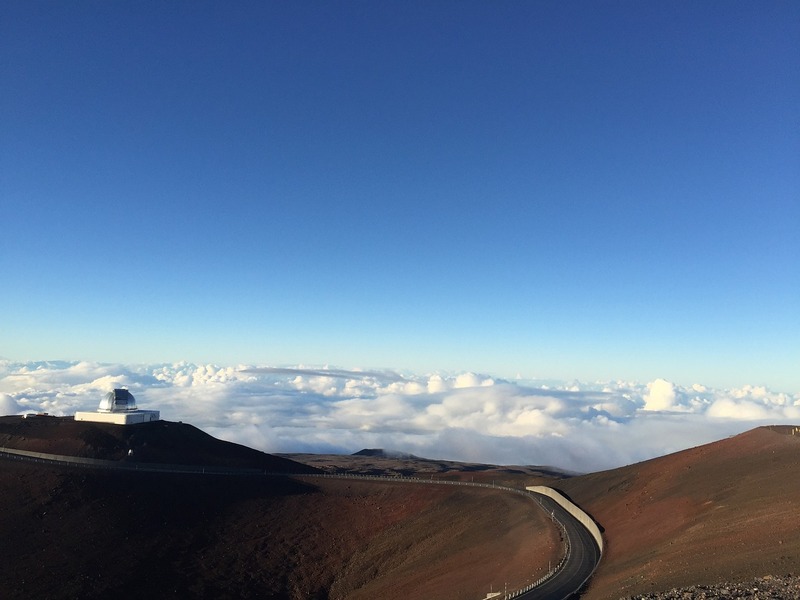 Considered to be the largest volcano on the planet, a drive up to the observatory at the top of Mauna Loa’s peak reveals stunning views at over 11,000 feet (3352.8 meters) high. 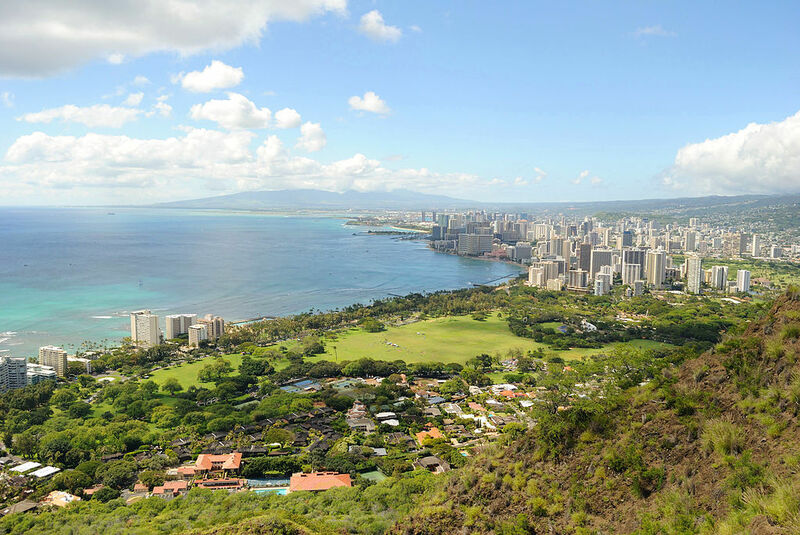 Take the Diamond Head Trail to the summit of Oahu’s volcanic tuff cone nestled along the coastline, and find panoramic views of Waikiki and the Pacific Ocean. Created by a volcanic eruption, Diamond Head is estimated to be about 200,000 years old. Within the Hawaii Volcanoes National Park, Kilauea’s Halemaumau Crater lava lake has been rising. Crowds are drawn to see its molten rock and flowing lava as it creeps across the floor 100 feet (30.4 meters) below the adjacent crater. 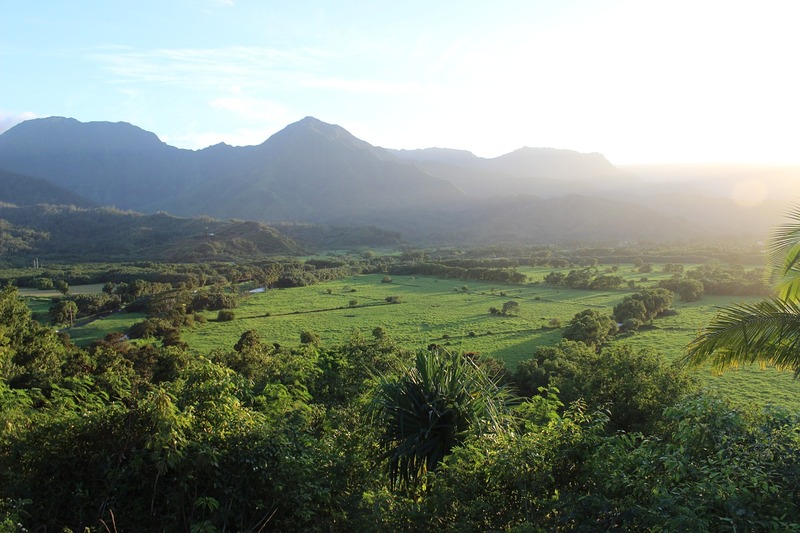 With over 4,000 acres of lush flora, towering mountains, and sweeping views of the ocean, Kualoa Ranch has it all. One of Lanai’s iconic landmarks, Pu’u Pehe, also known as Sweetheart Rock, is a crimson-colored triangular sea stack sitting just off the peninsula that separates Manele Bay from its neighboring Hulopo Bay. 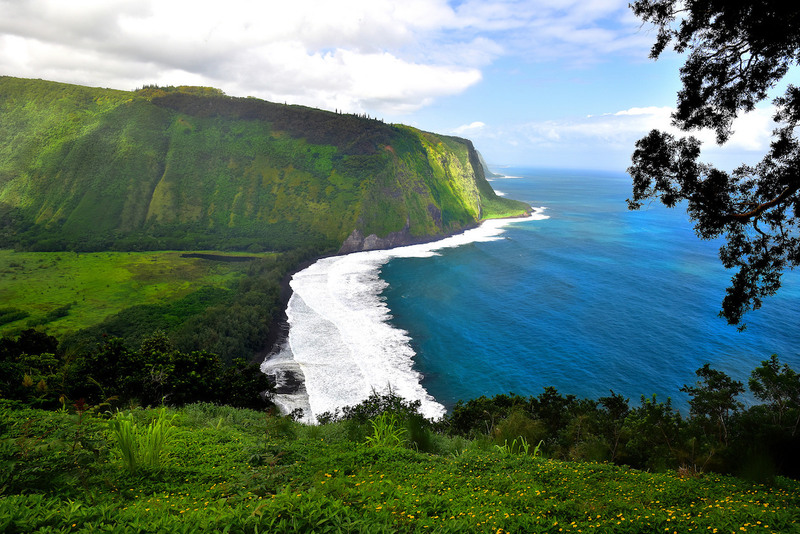 For panoramic views of Waipio Valley and the surrounding landscape, Waipio Valley Lookout is the ticket. 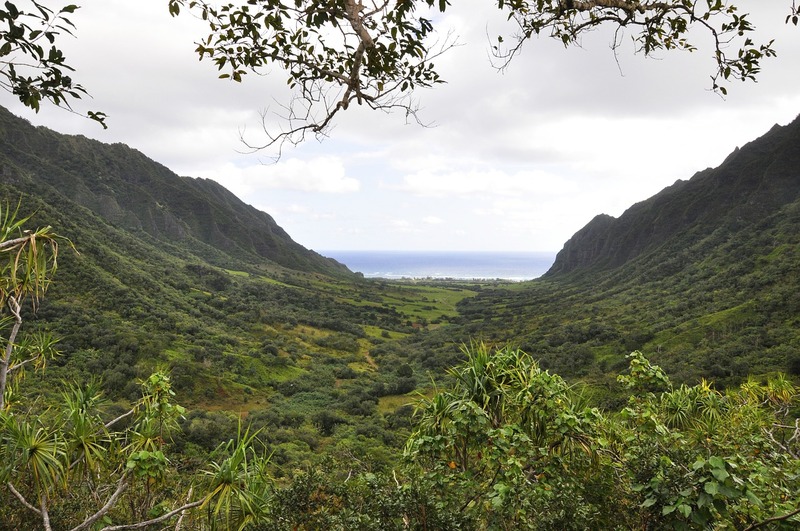 But if you’re yearning to get closer to the valley floor, which lies 2,000 feet (609.6 meters) below the towering mountains, take the Waimanu or Muliwai Trail. 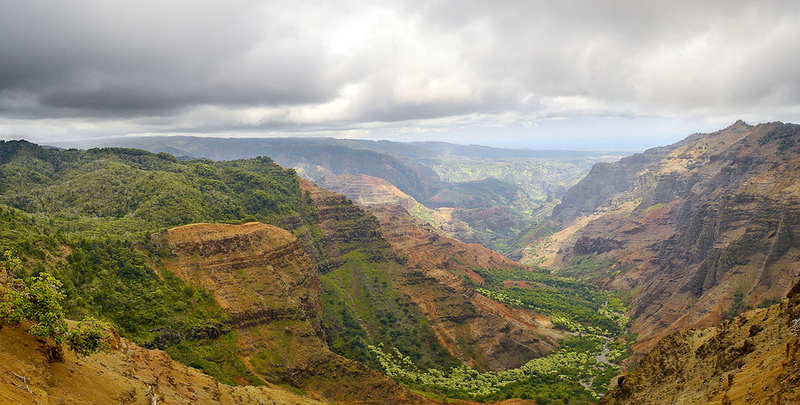 Dubbed the “Grand Canyon of the Pacific,” Waimea Canyon is deep and colorful. Stretching nearly 10 miles (16 kilometers) and 3,000 feet (914.4 meters) deep, sweeping views of the massive gorge are best seen from a mountain rim. 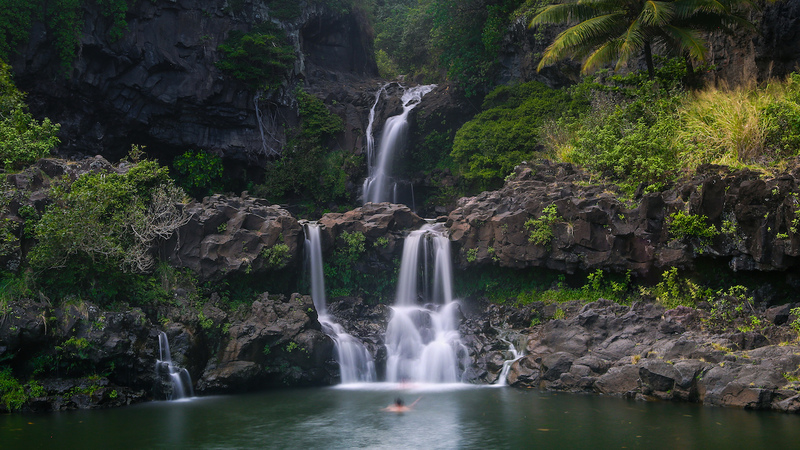 Deep within the dense forest of Oheo Gulch, seven swimming pools are hidden within the landscape, each connected to the next by waterfalls. Be transported to another world on Hawaii’s oldest island. Sharp and jagged mountains hug the coastline as varying hues of sediment color the steep mountainsides. The Road to Hana (the Hana Highway) stretches for over 60 miles (96.5 kilometers), winding through the tropical mountain landscape of Maui from Kahului to Hana. Be sure to stop along the way for awe-inspiring sunsets. 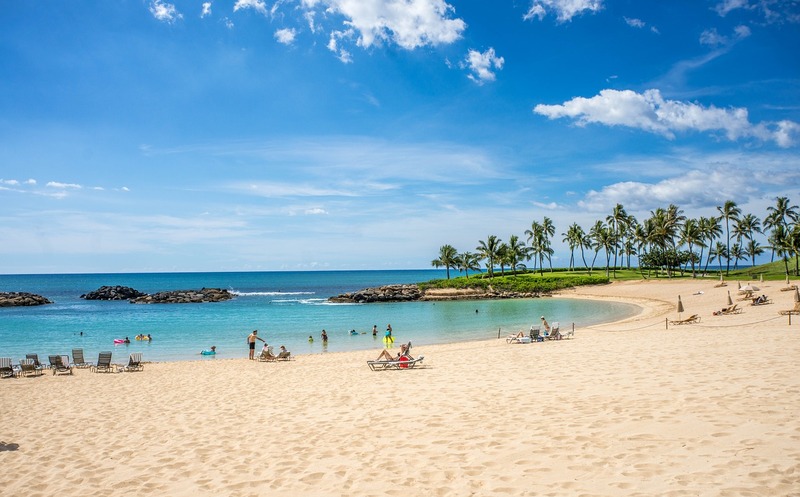 Named the best beach in America in 2016, it’s no surprise that Hanauma Bay won the stunning views sector, complete with a massive crescent-shaped bay, white sand beaches, and remarkably blue waters. 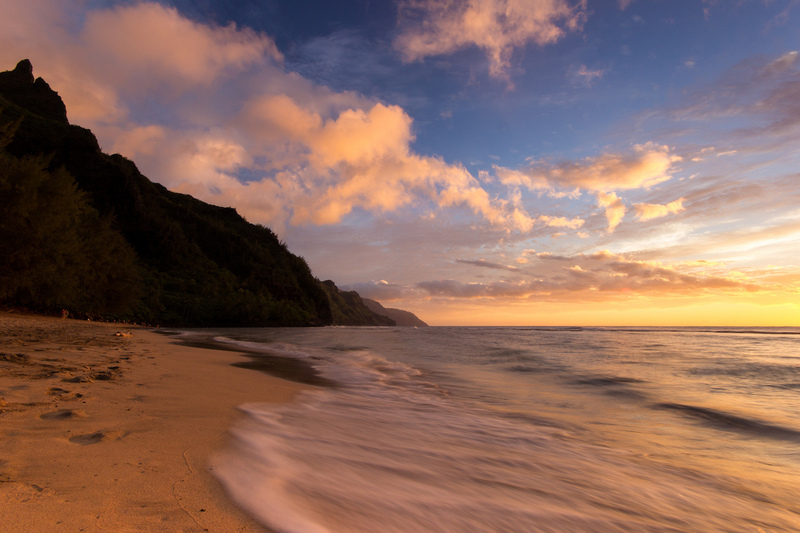 Golden colors illuminate the coastline in Hāʻena State Park. Referred to as the “end of the road,” Kee Beach marks the end of the Kuhio Highway on Kauai’s North Shore. The Haiku Stairs, also known as the Stairway to Heaven, offers unparalleled views of the island of Oahu. But visitors must hike up the steep, 4,000-step trail on the Koolau mountain range—considered to be the most epic, and famously illegal, hike in Hawaii. 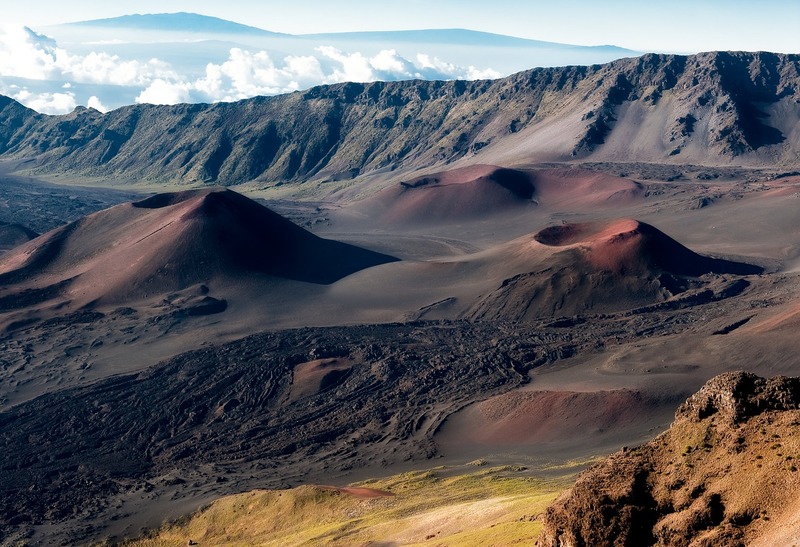 Haleakalā, a massive shield volcano, forms more than three-quarters of the island of Maui. Head here during sunrise or sunset for breathtaking views at nearly 10,000 feet (3,048 meters) above sea level. Hanalei, a small, peaceful seaside town on the North Shore, is filled with verdant forests and dense greenery. Is there anything more serene? From Makapu’u Point, the easternmost point of the island, catch a glimpse of Makapuu Beach Park, Rabbit Island, and the rising sea cliffs as they stretch along the coast westward. 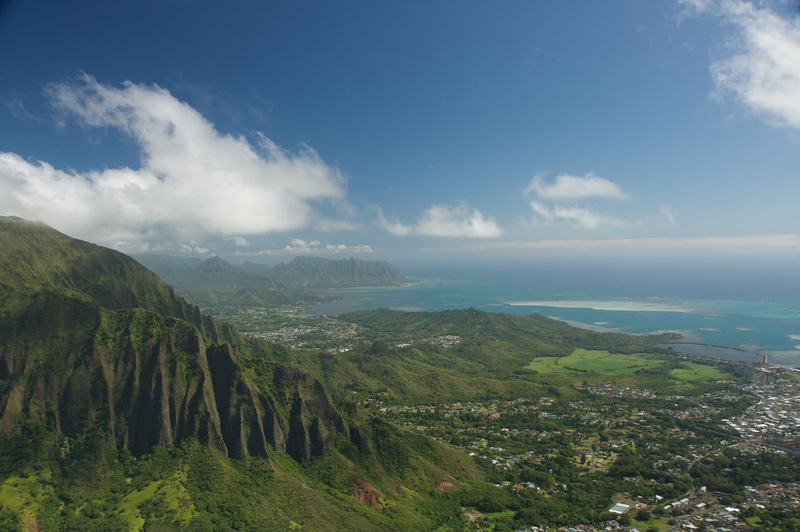 A popular Oahu scenic outlook, Nu’uanu Pali boasts panoramic views of Nu’uanu Valley, the Koolau mountain range, and the windward coast of Oahu. 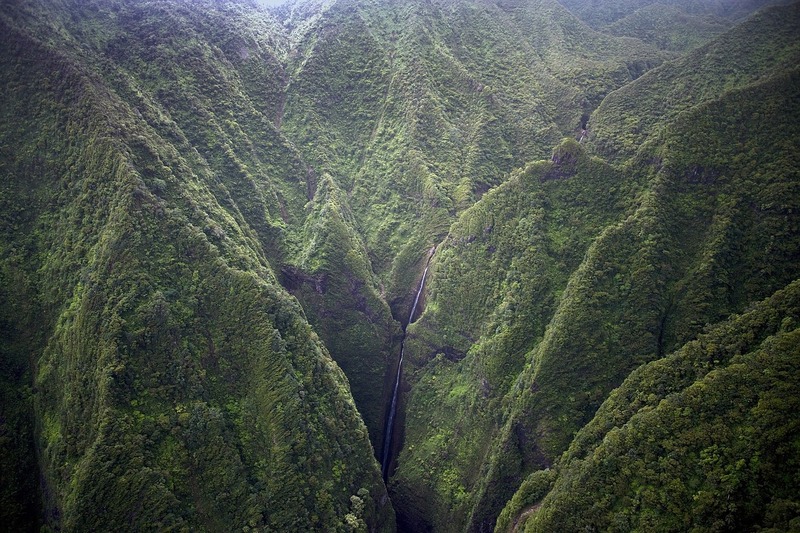 Honokohau Falls is the tallest waterfall on Maui, plunging 1,100 feet (335.2 meters) to an inaccessible valley floor below. Because of its remote location, a trip via helicopter is the only way to see them. 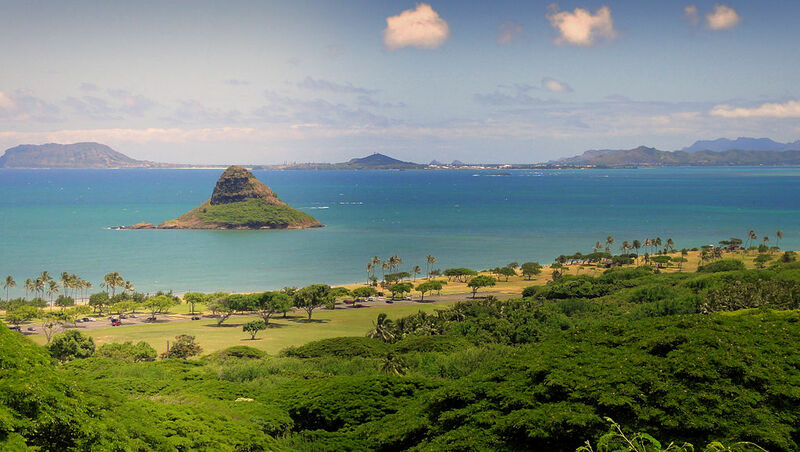 Mokolii (commonly referred to as Chinaman’s Hat) is a small island in the Kaneohe Bay, just a third of a mile (half a kilometer) off the shores of Kualoa Point. 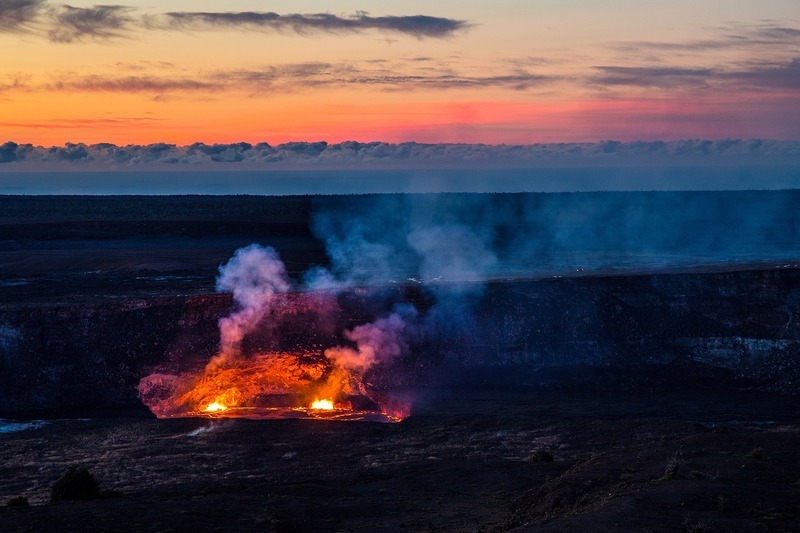 A visit to the Kīlauea Point National Wildlife Refuge isn’t complete without a trip to the famous lighthouse, a tall, white structure created by volcanic activity that sits high above the ocean on a cliff. As suspected, there are few things better than a vision of palm trees, blue skies, and sandy shorelines.